The European Union Agency for Fundamental Rights (FRA) has published a report which underlines the long-term consequences of poverty and how this can affect the realisation of children’s fundamental rights. The purpose of the report is to highlight the implications and the magnitude of child poverty across the EU through data and survey findings. Additionally, the report provides suggestions on the development of policy tools and actions that Member States can implement to move further towards the social inclusion of all children in the EU. What is the evidence around child poverty in Member States today? The report provides an overview of the current legislative landscape for poverty alleviation, based on desk research and statistical data from Eurostat and the FRA’s previous surveys for the 28 Member States. According to 2016 Eurostat data provided in the report, 25 million children under the age of 18 across the European Union are at risk of poverty, meaning they live in low-wage households with low involvement in the labour market and material hardship. 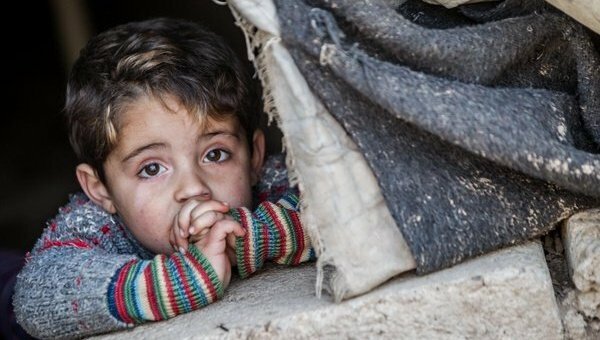 This includes many Roma and migrant and refugee children, who are more likely to be at risk of social exclusion and poverty. 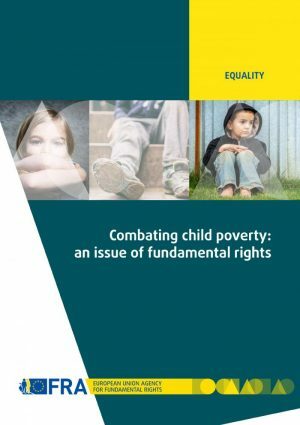 In this regard, the report aligns with the wider initiatives and principles of the United Nations and the European Union, including the European Pillar for Social Rights, and highlights the need for policy makers to address the rights of vulnerable children living in social exclusion in the European Union to break the cycle of poverty. EU institutions and Member States should strengthen their role on the design and implementation of policies based on the European Social Charter and Convention on the Rights of the Child, and establish a Child Guarantee for vulnerable children. EU institutions should use tools for policy coordination and monitoring, in addition to funding resources and financial frameworks, to focus on measures to prevent and fight against child poverty. In addition, EU Member states could align the yearly reform programmes for the European Semester with the 2013 European Commission Recommendation on investing in children. Indicators developed for the social scoreboard of the European Pillar of Social Rights should be disaggregated by age in order to effectively monitor the situation of children in the EU. Member State strategic frameworks to reduce poverty should consider various non-monetary aspects of poverty, including equal access to health services, housing, and education. The European Platform for Investing in Children (EPIC) is a platform which provides resources for Member States to monitor activities triggered by the Recommendation for Investing in Children by sharing the best of policymaking for children and families and fostering cooperation and mutual learning in the field. EPIC has also published a dedicated policy memo on the use of EU funding mechanisms to alleviate child poverty.